GO LIGHTLY SUGAR FREE CANDY Assorted Flavor 2.75 oz. GO LIGHTLY SUGAR FREE CANDY Assorted Toffees 2.75 oz. GO LIGHTLY SUGAR FREE CANDY Assorted Toffees 5.5 oz. GO LIGHTLY SUGAR FREE CANDY Chocolate Mint 5.5 oz. GO LIGHTLY SUGAR FREE CANDY Cinnamon 2.75 oz. GO LIGHTLY SUGAR FREE CANDY Cinnamon 5.5 oz. Content and information on Diabeticcorner.com is provided for informational purposes only. It is not meant to substitute the advice provided by one's physician or any other medical professional. You should not use the information contained herein for diagnosing or treating a health problem or disease, or prescribing medication. If you have or suspect that you have a medical problem, immediately contact your health care provider. Information and statements regarding dietary supplements have not been evaluated by the Food and Drug Administration and are not intended to diagnose, treat, cure, or prevent any disease. While we work extremely hard to ensure that all product information is correct, manufacturers sometimes change their logos, packaging and products. You should use our site as a reference, carefully read all product packaging, and contact the manufacturer with any questions before using a product. We are not liable for inaccuracies or misstatements about products. Customer reviews are provided for informational purposes only. Customer reviews reflect the individual reviewer's results and experiences only and are not verified or endorsed by Diabeticcorner.com. Actual results may vary among users. The information on this site is for informational purposes only and is not intended as a substitute for advice from your own physician or other health professional. You should not use the information contained on this site for diagnosing or treating a health problem or disease, or prescribing any medication. You should read carefully all product packaging. You should consult with a healthcare professional before starting any diet, exercise or supplementation program, before taking any medication, or if you have or suspect you might have a health problem. Information and statements regarding dietary supplements have not been evaluated by the Food and Drug Administration and are not intended to diagnose, treat, cure, or prevent any disease. Prices and promotions are subject to change without notice. Trademarks and registered trademarks are property of their respective holders. 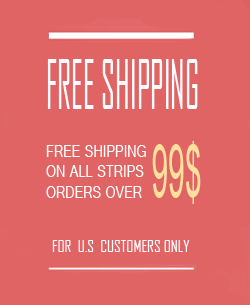 * Free Shipping - Some exclusions apply. Please review our shipping policies.